It’s every foodie’s favorite time of year in Newport. The Fall edition of Newport Restaurant Week is here! Here’s what to expect at this extravaganza of edibles -- scheduled for November 2nd through 11th -- embodying the best of what Newport and Bristol counties have to offer. Newport Restaurant Week debuted in 2006 as an annual event aimed at encouraging both locals and visitors to discover the region’s vast culinary talent at an affordable price. Over the past decade, the festivities have grown to comprise more than 55 participating restaurants. There are some important changes to note this year. Dining options are expanding to include $20 two-course lunches, $35 three-course dinners and $50 three-course premier dinners. From wine bars and raw bars to taverns and tapas, there’s truly something for everyone at this tasty tour of one of America’s most celebrated cities. On full display will be seasonal dishes and libations that incorporate carefully hand-selected ingredients. This year’s culinary event is presented by Discover Newport and sponsored by Eating with the Ecosystem and OpenTable. A must-do for diners craving a consummate combination of exquisite food and extraordinary atmosphere? Cara restaurant at The Chanler at Cliff Walk. Featuring an inspired menu created by executive chef Matt Voskuil, the meal is designed to scrumptiously showcase a bounty of fresh, local and seasonal ingredients at a very affordable price. Guests will indulge in a three-course menu that truly incorporates the new vision of Cara. Options for the first course include chilled oysters on the half shell, kabocha squash soup, seared diver scallop and glazed pork belly. Next up? Choose from these delectable options for your second course: roasted halibut, seared duck breast, braised short rib and house-made ricotta tortellini are on Cara’s menu. Of course, no meal is complete without a sweet ending note -- in this case, there’s an option of three sweet notes. Dessert at Cara includes the choice of a valrhona chocolate bar, lemon sponge cake or a cucumber panna cotta. Not your average dessert, right? And did we happen to mention the sweeping ocean views and unparalleled service? 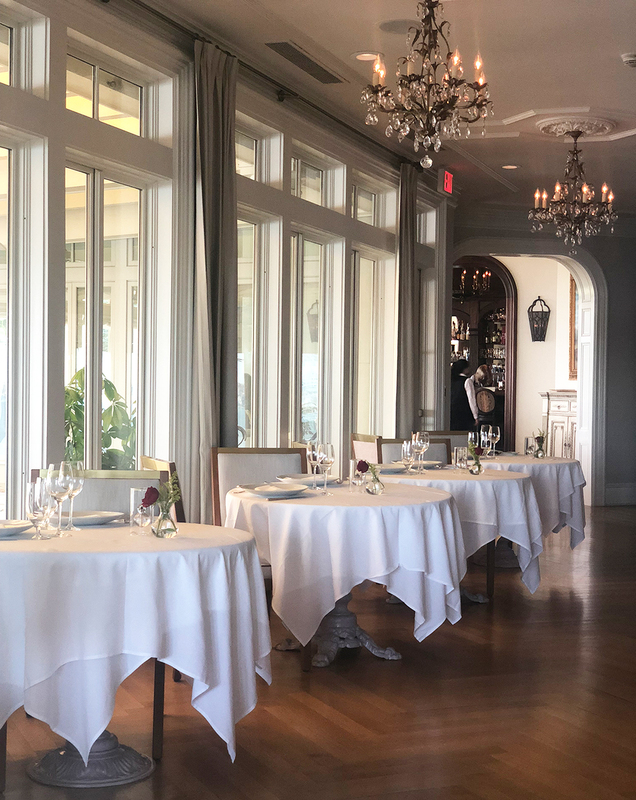 If you’ve been suffering from severe FOMO (fear of missing out) of dining at Cara, the restaurant recently described by the Providence Journal as “Luxurious dining in a stunning setting,” there’s no better time to have your first experience than during Newport Restaurant Week. Can’t make it to the festivities this fall? Don’t despair. You’ll have another chance to indulge this spring: Newport Restaurant Week is so popular that it’s now held not once, but twice annually. Be sure to mark your calendar for the Spring 2019 edition held April 5th - April 14th. Make a Reservation at The Chanler today, while availability still remains.